After a detailed research, CEPTES has taken Salesforce.com as their Cloud Partner for the purpose of implementation solution as well as, keeping all the Employee Information within the same platform. This process has been set-up to manage all the project assignment, along with tracking the time and effort of the resources. 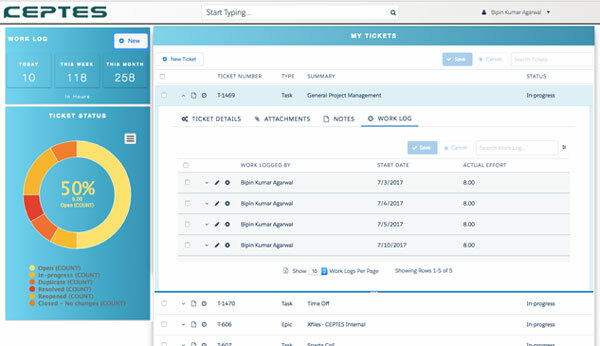 CEPTES’s requirement was to allow all its employees use a platform for creating any tickets, that would be associated with the concerned project. The purpose was also to assist all of them, to log the effort and time spent on a particular project. There were certain other requirements as well. It was imperative that all the employees should not be getting access to log-in into Salesforce as users. But at the same time, they should have the privilege to create tickets and work on their assigned tickets. Hence, the additional requirement was to design a log-in page for all employees, authenticated with the use of One Time Password (OTP) option. This requirement was essential to be achieved using minimal code customization. CEPTES has been using Jira for the purpose of Project Management, where all the projects were previously being tracked to closure. The drawback that CEPTES have been facing was the huge cost involved in the Licenses. In order to reduce the recurring cost per month for Jira License, an application must be created for all employees. It must be assured that the data is not shared with all the employees. The sharing will be done on the basis of role hierarchy. Number of validation as well as business process required. SKUID, an application available on Salesforce AppExchange, has helped CEPTES to create the login page, as well as various other pages. The Point and Click feature of SKUID is simple enough to help us implement the entire process, without the involvement of much custom code. The SKUID UI model is used in the creation of the Login Page. There was not much fuss in the process, and the authentication had been done by sending the user an OTP, in their email. Several pages has been developed for Ticket, Project and Work-log dashboard which are included into master application SKUID page. The Work-Log Dashboard – A complete and accurate view of the effort logged by the user. The entry done is based on day, week and even month. The process was successfully established. 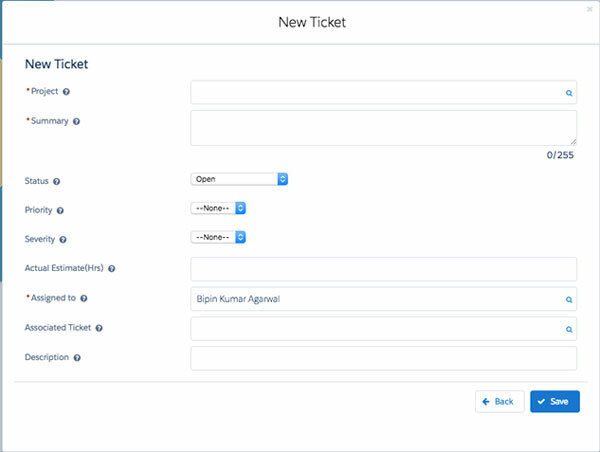 Ticket Dashboard – Based on the status of the ticket, the projects are indeed categorized and hence, allows the user to update the ticket notes gradually. The process has been made so simple that even the work log can be added, if and when necessary. The Project Dashboard – In this category, employees can even make a note of the list of the projects, which are being assigned to them. It is also said to categorize the roles of an individual employee if he/she has been assigned multiple projects. There is no requirement of codes or very minimum code required. There has been no Test Class or even Test Coverage. The development of pages requires less amount of time. Component Supportive and as well allows creating new components. The customization of the Standard Salesforce Pages/Views is possible. Some additional License cost is involved in this process.